There are two things that always get a bartender noticed, the sound of a blender mixing up daiquiris and the muddling action of a mojito. 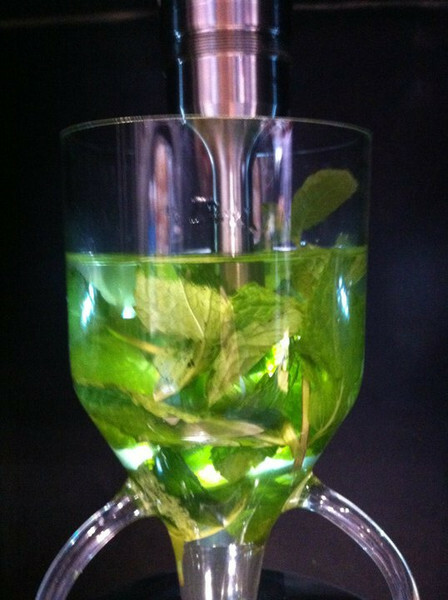 Soon, patrons are lining up for drinks and the bartender’s arm gets a workout from all the muddled mint. Let’s give back to our bartenders. Close the door, crank up the juice and give their muddled arms a rest. Combine all ingredients, except club soda, in beaker. Process with The Sonicprep™ for 60 seconds with the Output Control set to 10 and Duty Cycle set to Constant. Strain through a Hawthorne Strainer over ice. Top off with 4 oz. club soda and garnish with fresh mint leaves. One question about this recipe : when do you add the 16 oz club soda ? Are the final 4 oz club soda added finally to top off included in the 16 oz of the ingredient list ?